In 2017, the Oscars met “Big Data.” Google Trends has mapped out regional differences in film preferences. Any Internet User can now examine a film’s geo-social appeal and any geo-cultural differences. 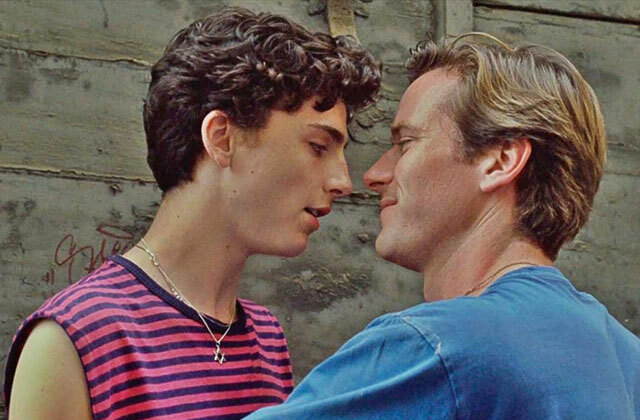 GALECA: The Society of LGBTQ Entertainment Critics announced the winners of their 2018 Dorian Awards last week and the gay love story “Call Me By Your Name” was a big winner. (AP) At a Gotham Independent Film Awards overshadowed by the election of Donald Trump, Barry Jenkins' coming-of-age drama "Moonlight" shined brightest. Coming off their wins this weekend at the Independent Spirit Awards and The Oscars, the team behind the film “Call Me by Your Name” is already in the talks for a sequel. One of the stars of the upcoming “Looking” film will be in Fort Lauderdale next week to answer questions. Their film evolved from a heterosexual love story to a blossoming romance between a man and a male corpse. The nearly 200 members of GALECA: The Society of LGBT Entertainment Critics recently followed up their definitive list of the top 10 greatest screen divas with a much more challenging subject. Members were asked which “straight” films through cinema history so mirror an LGBT sensibility—maybe they more than hint at what Joan Crawford would call “Sapphic” or feature an unusually intense bromance—they might as well be “gay.” Not that there’s anything wrong with that! (CNN) 'Rafiki', a movie premised on a love story between two women may be banned in Kenya, but it is receiving accolades from movie lovers abroad. In Matt Wolf's short, sweet film "Bayard and Me," Walter Naegle, a gay man in New York, recalls his relationship with Bayard Rustin (1912-1987). Rustin was the openly gay civil rights leader who worked closely with Dr. Martin Luther King in organizing the March on Washington in 1963. Because of his homosexuality, Rustin has often been left out of history.